The Gaudiani Clinic provides superb outpatient medical care to patients with eating disorders and disordered eating, of all shapes and sizes. Through a collaborative, communicative, multi-disciplinary approach, the Clinic cares for the whole person, in the context of their values. The Gaudiani Clinic does not have any open positions at this time. 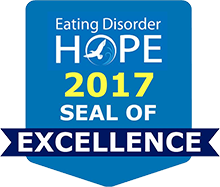 We believe in full recovery from an eating disorder. To be recovered is to inhabit one’s body and to experience food and exercise in ways that are not ruled by concerns over size, shape, and numbers. Emotions and life experiences are navigated using strategies that do not compromise one’s health or well-being. Being recovered allows one to model for others how to eat a variety of foods, in a variety of settings, and to move for joy rather than in a compulsive or excessive way. Once recovered, the relationship with one’s body is managed with authentic self-acceptance.